Many people are aware of the “Aero Wars” of 1969 and 1970 in NASCAR, when Chrysler and Ford reshaped their cars in radical ways to make them go faster. While pushing the bounds of what could plausibly be called “stock” cars, the companies raced—and sold to the public—some of the most outlandish cars ever built in Detroit. And one of the lesser known cars–the Charger 500–is also the rarest of the bunch. In 1968, Dodge had released a new body style for the Charger. It won awards, sold well, and raced horribly. The car had an indented grille and the rear window was also recessed. In a wind tunnel the car was a catastrophe. Too much air got under the car and the air that went over swirled over the trunk. Someone suggested making the grille flush with the leading edge of the hood and filling in the cavity at the rear. Wind tunnel tests confirmed that this would solve many of the car’s problems. At the time, NASCAR required at least 500 cars to be sold to the public for a car to be considered “stock.” When the tests confirmed improvement with the modifications, Dodge gave the go-ahead for the cars to be sold to consumers. Dubbed the “Charger 500,” The car was unveiled to the press in June 1968 and then pitched to the NASCAR czar, Bill France. France had no problem with the car being allowed to race except he objected to a spoiler Dodge wanted to place under the car’s front bumper. NASCAR was hesitant about any aerodynamic modifications on the cars which made them look more like race cars and less like street cars (The opposite of today). France met with Chrysler engineers to discuss the Charger 500 and told them his only objection was the front spoiler. John Pointer, an outspoken Chrysler aerodynamicist, noted to France that the car he had driven to the meeting–an Indianapolis “Pace Car” Camaro–had a front spoiler on it. Apparently unware of the fact, France got on his hands and knees in the parking lot to inspect the car’s front spoiler. But somewhere along the line, Dodge either lost interest in building the street cars or someone noticed that France wasn’t counting how many cars were actually being built. Most agree that only 392 Charger 500s were built and sold to the public. And for those who are curious, none of those were ever raced. The cars NASCAR drivers and others raced were simply the ones they had been racing when the modifications were announced. 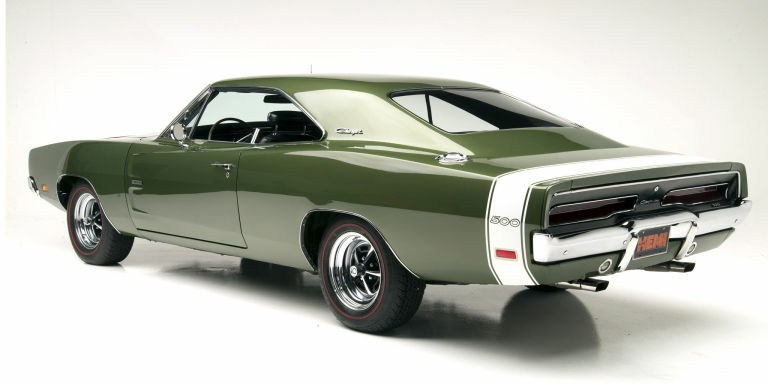 Chrysler sent the parts necessary to turn a regular Charger into a 500 to the teams racing the Chargers and they simply upgraded their rides.